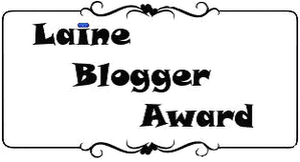 The Another Great thing is that I have recived a Lovely Award from my Co-Blogger Egle Venslovaite-Lesscows who is owner of the Blog MakeUpDemon. Her Blog is so sweet and full of nice FOTDs and Reviews. She is from Vilnius, Lithuania and She is a freelancer make up and photo artist. As we both are New Bloggers, met through Blog comments and Follow Each other. I love her LOTD and all she do. She is Sweet and Cute. She shared an Award with me which She got it from Beauty by shortylegs!!! 1. What is your current beauty obsession? 2. What is the ONE beauty item you wished you owned? 3. What is your favorite topic to read about? Actually I have wasted so much money by buying products which is not suits for my skin type and later came to know about beauty blogs and Reviews. They are very useful and save our skin and money. So, I am also into the Service. 5. What nail polish are you wearing right now? will do the post soon. Thx for stopping by at my blog doll ! i love your post !